Our vision of a pure-organic beekeeping begins from our name and our love for the bees. 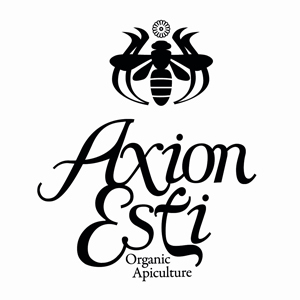 Axion Esti is a phrase where our philosophy and beliefs can be better attributed, about the smartest and more beneficial insect in the planet, the bee. The bees generously give us all of their products, which are beneficial for our good health and the life-giving power of pollination. Therefore, bees offer to people only good attributes. From the bee you do not toss anything, everything is recyclable. Our goal is the products of our bees to get in your hands rough straight from the hive, with the main criterion the excellent quality, taken with respect from the home of the bee … with respect to the nature and the consumer, with the hope to build a relationship of trust, quality partnership and responsibility for our health and the environment in which we live. Dear friends, thank you again for giving us the opportunity to present our own cottage industry … our own love for the wonderful world of bees.